Today we will lay to rest a Hero by any definition. A Catholic Mass Funeral and interment for our fallen brother John E. Ulmschneider will be held today starting at 1:00 pm. Many Fire Departments are providing their apparatus and personnel to the funeral services as well as honor guards, bagpipers and support staff. Fire/EMS Departments from across the region will continue cover our stations and provide services to the residents, businesses and visitors to Prince George’s County. This coverage will allow the career, volunteer and civilian personnel the opportunity to attend services. The Prince George's County Fire/EMS Department would also like to acknowledge our public safety partners in law enforcement for their services provided. The Prince George's County Police Department have supported our efforts since Friday night and numerous other agencies have provided tremendous support on Tuesday and Wednesday. The Fire/EMS Department would like to thank the National Capital Region Incident Management Team. This is a group established to assist a Department on a variety of incidents. They have worked with our Department to manage the large process of planning a Line of Duty Death services. Their assistance has been invaluable. Wednesday, as members of the Prince George’s County Fire/EMS Department attend services in St. Mary’s County for Fire Fighter/Medic John Ulmschneider, area Fire and EMS departments will fill in and cover responses within the County. It will not be unusual for Prince George’s County residents to see units from the following jurisdictions responding on calls Tuesday. On Tuesday mutual aid companies filled about 45% of Prince George's County Fire/EMS stations. Today, about 60% of our stations will be filled by mutual aid companies. There are many ways to pay respect and tribute to our Fallen Firefighter. Each and every firefighter and medic helping to provide services in Prince George's County is doing just that. We can not thank you enough. Additionally, as I will be attending services on both days I have asked Mr. Pete Piringer to cover Prince George’s County in the event of a significant incident. 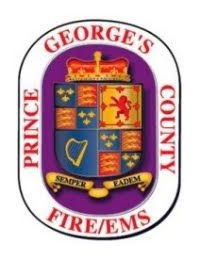 Piringer, Chief Spokesperson and PIO for Montgomery County Department of Fire/Rescue Services, is no stranger to Prince George’s County and has agreed to fill-in as a Public Information Officer on Tuesday afternoon through Wednesday evening.